Tatzu Nishi is an internationally exhibited installation artist. He is known for transforming historical monuments by surrounding the statue or building with domestic spaces including functioning hotels. He was commissioned to create a temporary installation for East International in 1998. 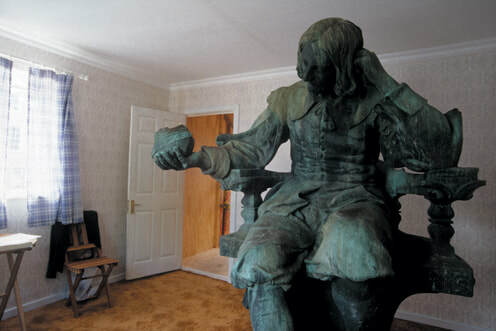 ​He enclosed the Pegram statue of Sir Thomas Browne on Hay Hill within a room, which the viewer could climb up into, and meet Sir Thomas Browne at 'ground' level for the duration of the exhibition.